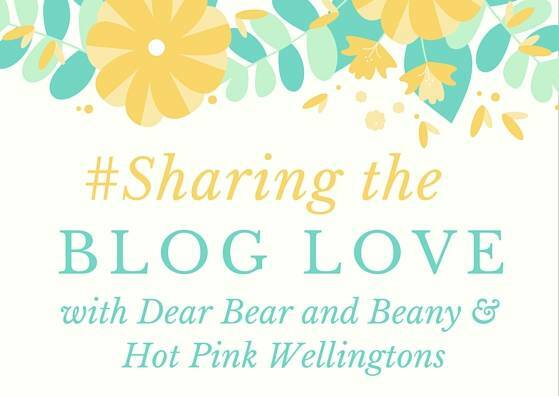 Welcome back to week 48 of #SharingtheBlogLove, thank you to everyone that joined us last week and for popping back again this week. Firstly if you haven’t heard the news my beautiful friend and co-host of #SharingtheBlogLove gave birth to her beautiful baby boy at the weekend. A big congratulations to them as they enjoy getting to know Ben. This week we have the lovely Laura co-hosting with me and Laura is sharing her first showcase post with us from last week. This week you can expect things to be back to normal with both Laura and I commenting on all your posts. All you have to do is link up your post, then Laura and I will both read all the posts linked up and leave a comment. We will then each showcase our 4 favourites the following week, as well as tweeting them throughout the week. That means 8 brilliant posts every week will be showcased each week. If you’re chosen as one of our featured posts, we’ll include a link to your blog post and a summary of your post and why we loved it. Thank you for joining Laura and I, we can’t wait to read all your fabulous posts.